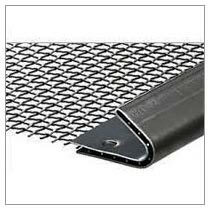 Acquire the finest Woven Wire Meshes (Vibrating Screens) at best prices from us! We are associated with the league of #1 Manufacturers and Suppliers of Woven Wire Meshes in West Bengal. We can manufacture these meshes using either premium spring steel (high and medium carbon steel) or fine stainless steel of high grade. The meshes find employed in chemical industry, coal industry, power plants, mining industry, crushers, etc.